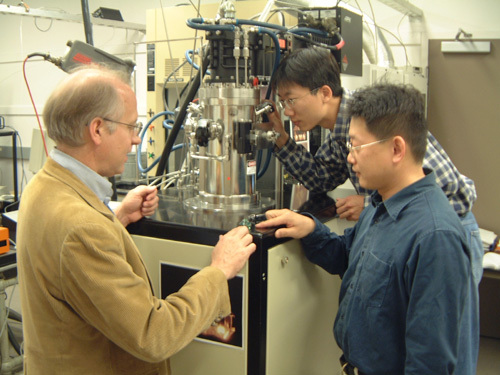 During the past ten years, our group at Carnegie has made great progress in laying the foundation for the next generation of static high-pressure devices using entirely new materials technology. Specifically, we pioneered the rapid growth of large, perfect single crystals, at accelerated growth rates up to 0.1-0.3 mm/h [1, 2]. This work stemmed from NSF-supported research in the 1990s, which demonstrated that synthetic single-crystal diamond can be augmented by CVD for the fabrication of very large anvils . High Growth-Rate Fabrication of CVD Single-Crystal Diamond - Using a dedicated 5kW MPCVD system at Carnegie, we extended our previous work to fabricate perfect single crystals of diamond of unprecedented thickness and at unmatched growth rates of 50-150 μm/h . These crystals can be shaped into anvils for high-pressure experiments  and as plates or windows. Very recently, crystals up to 1 cm in thickness (e.g., well over 5 times those reported previously) have been fabricated. Generation of Multimegabar Pressures with CVD Single Crystal Diamond - We have compressed Ta, Re, Pt, and an Fe-Si alloy to ultrahigh pressures using as-grown CVD single-crystal and natural diamond. 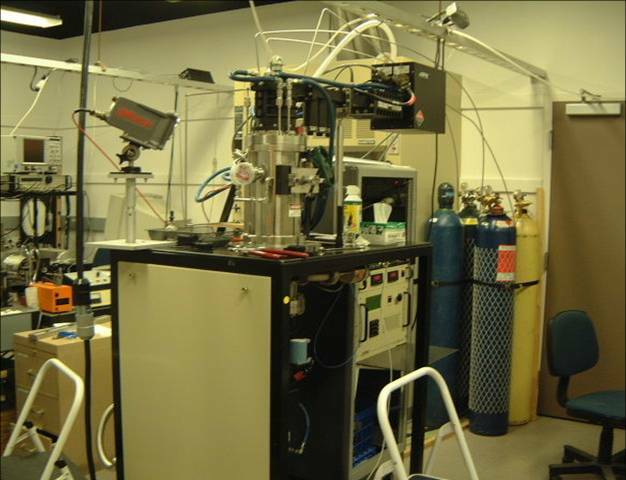 In situ x-ray diffraction was used to determine the pressure. In each case, the anvils reached the pressures expected for the geometry of the anvils (e.g., close to 200 GPa for 100 μm culet beveled anvils) . Extraordinary Hardness - We have successfully combined the unique high growth-rate CVD single-crystal process with a HPHT technique to produce material that is significantly harder than any other diamond-based material . In work with LANL, comparative Vickers hardness tests demonstrated that the annealed CVD diamond is ultrahard (Hv >160 GPa), beyond that of both type IIa natural diamond and polycrystalline diamond. Characterization of Single-Crystal Diamond - We have carried out a battery of tests of the single-crystal diamond produced under a variety of conditions. 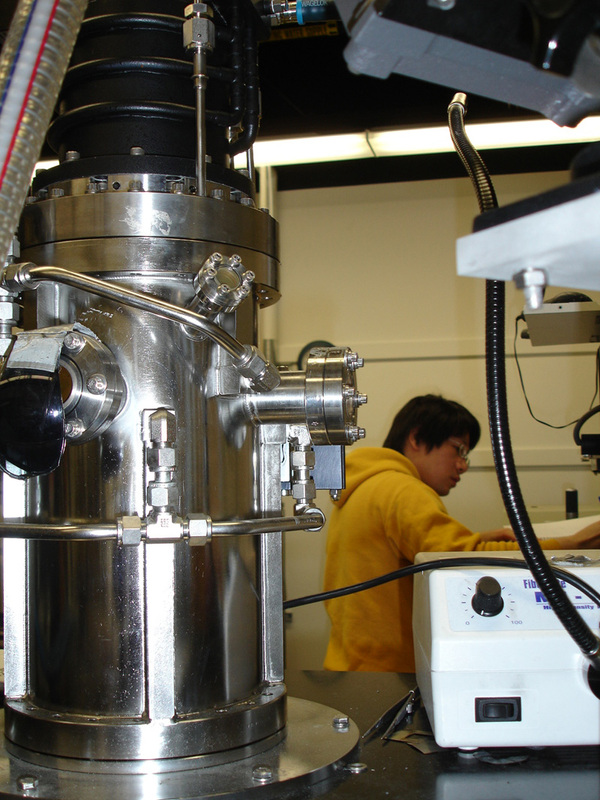 In addition to the hardness tests described above, these include synchrotron infrared spectroscopy , rocking curve mapping and x-ray topography , ultrasonic interferometry , ion and electron probe measurements , electron paramagnetic resonance , and transmission electron microscopy . These measurements establish, for example, that the high-growth material can be produced with low-impurity content (type IIa) and low mosaicity, and provide guidance on further optimization of physical properties. Stimulated Raman scattering in CVD single crystal diamond - We reported the first observation of stimulated Raman scattering (SRS) in single crystal diamond synthesized by chemical vapor deposition (CVD). An efficiency of 45% energy conversion from the pumping Nd3+:Y3Al5O12 laser radiation to all Stokes and anti-Stokes components is achieved. This makes single crystal CVD diamond an attractive x(3) nonlinear crystalline material as a Raman laser converter . Low-Pressure/High-Temperature Annealing - Single crystal diamond produced by chemical vapor deposition (CVD) at very high growth rates (up to 150 μ/h) has been successfully annealed without graphitization at temperatures up to 2200°C and pressures below 300 torr. The low pressure/high temperature (LPHT) annealing enhances the optical properties of this high-growth rate CVD single crystal diamond. Significant decreases are observed in ultraviolet to visible and infrared absorption as well as photoluminescence spectra. The dramatic decrease in optical absorption after LPHT annealing arises from the changes is defect structure associated with hydrogen incorporation during CVD growth. There is a decrease in sharp line spectral features indicating a reduction in nitrogen-vacancy-hydrogen (NVH-) defects. The measurements indicate an increase in relative concentration of nitrogen-vacancy (NV) centers in nitrogen-containing LPHT-annealed diamond as compared to as-grown CVD material. 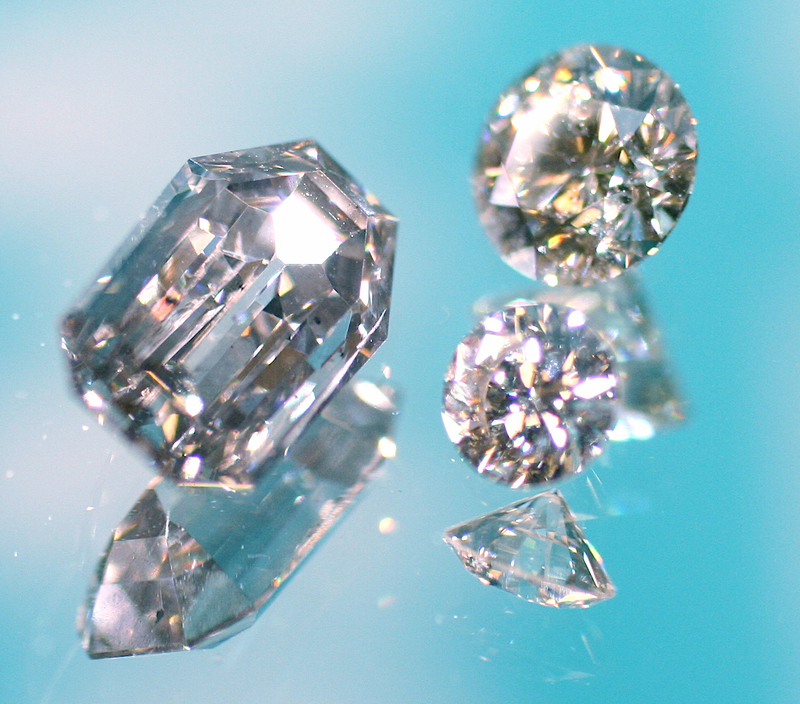 The large overall changes in optical properties as well as the specific types of alterations in defect structure induced by this facile LPHT processing of high-growth rate single-crystal CVD diamond will be useful in the creation of diamond for a variety of scientific and technological applications . 1. Yan, C., et al., Very high growth rate chemical vapor deposition of single-crystal diamond. Proc. Nat. Acad. Sci., 2002. 99: p. 12523-12525. 2. Hemley, R.J., Y.C. Chen, and C.Y. 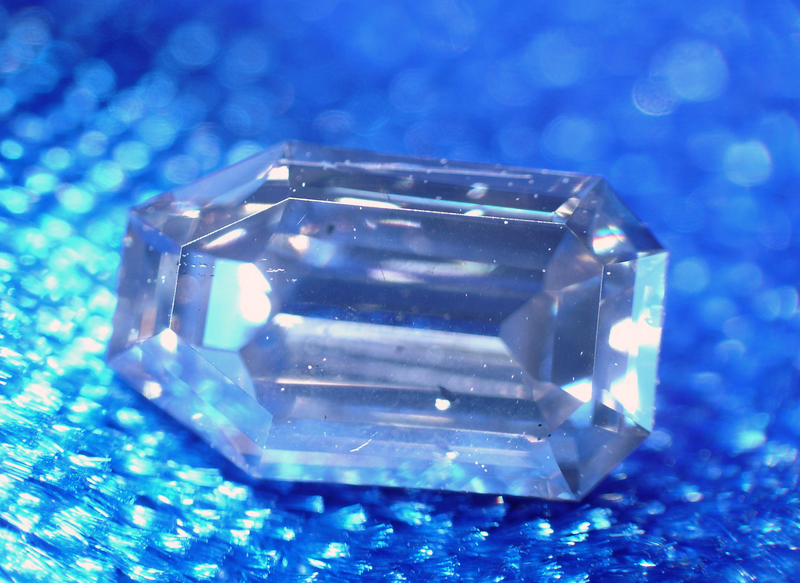 Yan, Growing single-crystal diamond by chemical vapor deposition. Elements, 2005. 1: p. 39-43. 3. Yan, C.S., Ph.D. Thesis, University of Alabama Birmingham, 1999. 4. Mao, W.L., et al., Generation of ultrahigh pressure using single-crystal chemical-vapor-deposition diamond anvils. Appl. Phys. Lett., 2003. 83: p. 5190-5192. 5. Yan, C.-s., et al., Ultrahard diamond single crystals from chemical vapor deposition. phys. stat. sol. (a), 2004. 201(4): p. R25-R27. 6. Chen, Y., et al., to be published. 7. Jacobsen, S., H.K. Mao, and R.J. Hemley, to be published. 8. Hemley, R.J. New developments in CVD diamond. in Diamond 2004. 2004. Riva del Garda, Italy, September 13. 9. Ho, S. S., C. S. Yan, Z. Liu, H. K. Mao and R. J. Hemley, Prospects for large single crystal CVD diamonds, Industrial Diamond Review, 66, 28-32 (2006). 10. Kaminskii, A. A., R. J. Hemley, J. Lai, C. S. Yan, H. K. Mao, V. G. Ralchenko, H. J. Eichler, and H. Rhee, High-order stimulated Raman scattering in CVD single crystal diamond, Laser Phys. Lett., 4, 350-353 (2007).